It's now no longer a form of pajamas. Pain is beauty? Nope. Not anymore. Not necessarily, at least. Like many other things in this world, beauty and fashion evolve. They’ve grown so much that even the expression “sky’s the limit” doesn’t seem to do them justice. First, there’s the Baju Melayu Hipster. And lace trousers for men. Then, we have jogger pants. Oh, and don’t forget about jumpsuits! Now, toss in the Baju Kelawar. It was once worn simply for comfort; a form of pyjamas commonly used by Malay women. Now, it’s no longer taking a back seat to the fashion world. Baju Kelawar is making its way into the market with designs that complement its origins while offering that extra edge for fashion-hungry buyers. Aspiring entrepreneur Nur Aini Mohd Asraff identifies with this evolution. She’s not merely jumping on the bandwagon; she’s expanding the route for this combo of fashion and comfort. 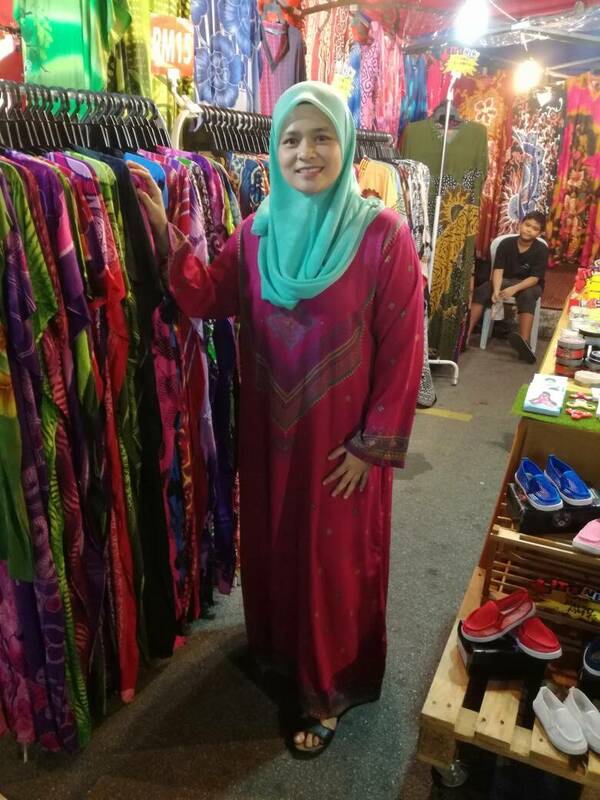 Not only that, Aini sells her Baju Kelawar online too, and during the recent Ramadhan, she set up a booth at Jalan Taiping, Klang. 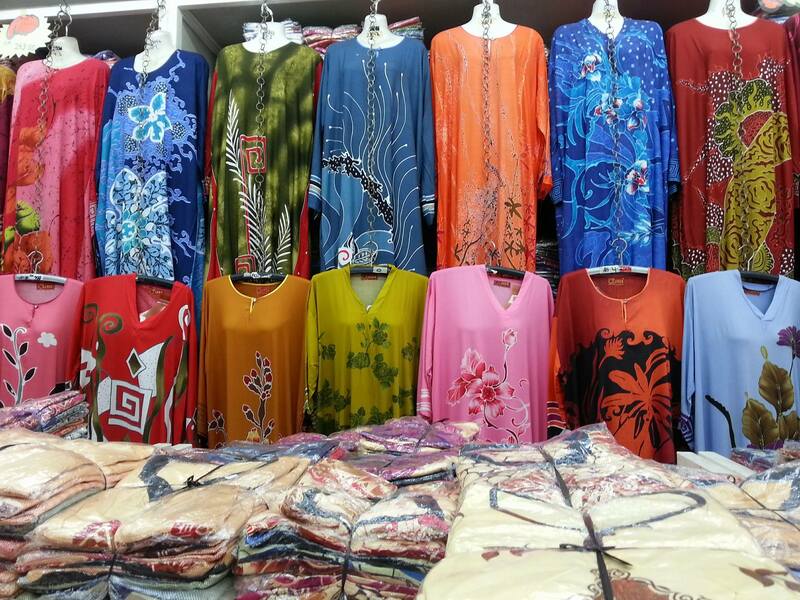 Needless to say, her line of Baju Kelawar was very well received. 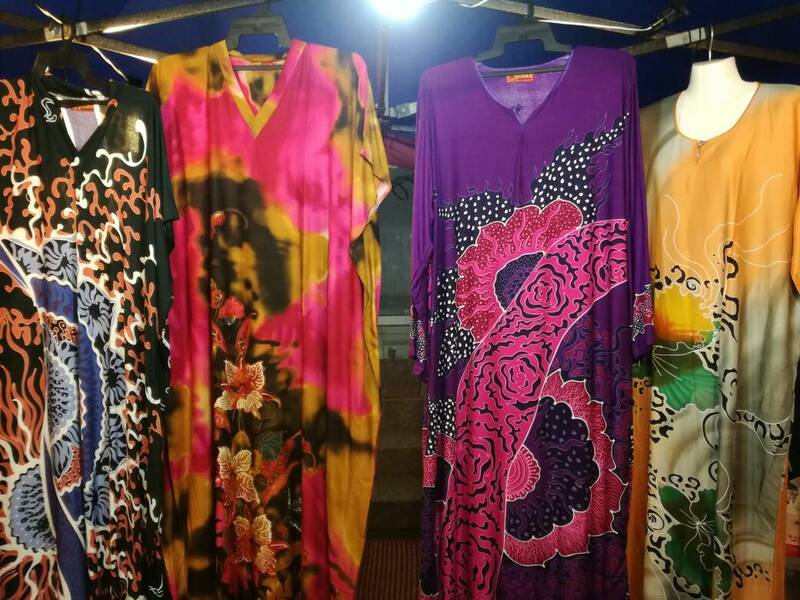 Her line of clothing includes canting (the use of melted wax to create batik designs), Syria designs, printed designs and she even has a line for children. 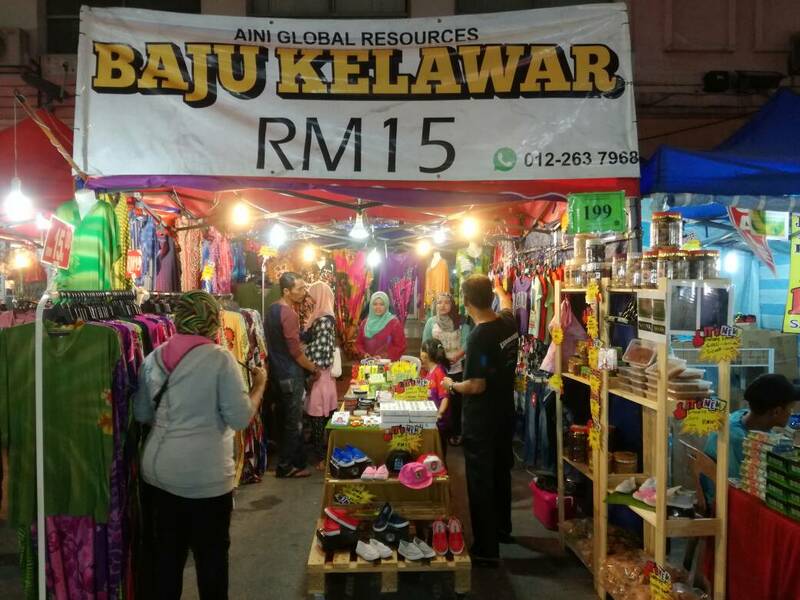 Aini's Baju Kelawar goes for RM10 to RM15, so it is extremely affordable. But Why Baju Kelawar Though? Fashion can be a tricky business, especially when it comes to sizes. With Baju Kelawar, you can put that at the back of your mind. 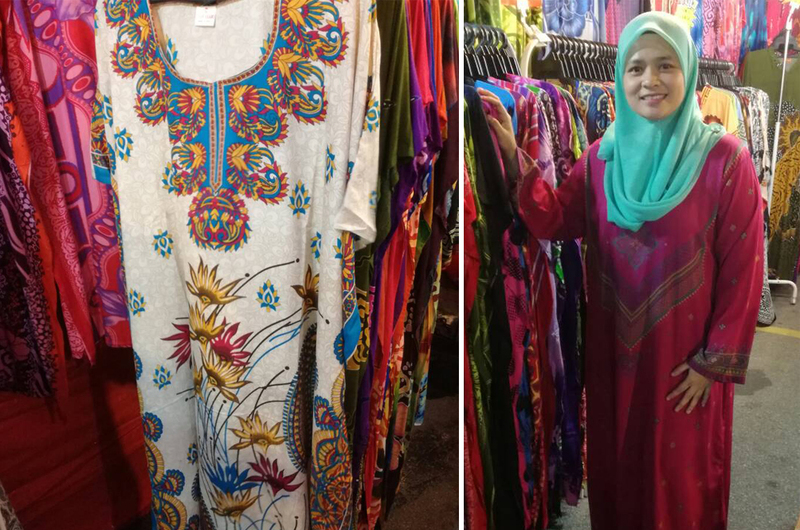 According to Aini, there’s always demand for such clothing and given that they come in free size, Baju Kelawar caters to people from all walks of life. It’s not really something new, but it’s something that’s being given a new life. Aini’s customers range from teenagers and mothers to loving husbands buying gifts for their spouses. For some Malays, Baju Kelawar becomes the choice for Malam Berinai (pre-wedding ceremony). For Aini, this business isn’t one that hatched overnight. It dates back to 2014 but due to capital constraints, she had to wait before the ship could be sailed. Things were finally set in motion with funding from a program called Tunas Usahawan Belia Bumiputera (TUBE), a government effort aimed at fostering entrepreneurship among the youth. They’re sisters (or brothers? Whatever you want to call them, really). Kaftan evolves from Baju Kelawar but both embody one thing - comfort. The latter is made from cooling materials, making it a great choice as a sleeping attire. 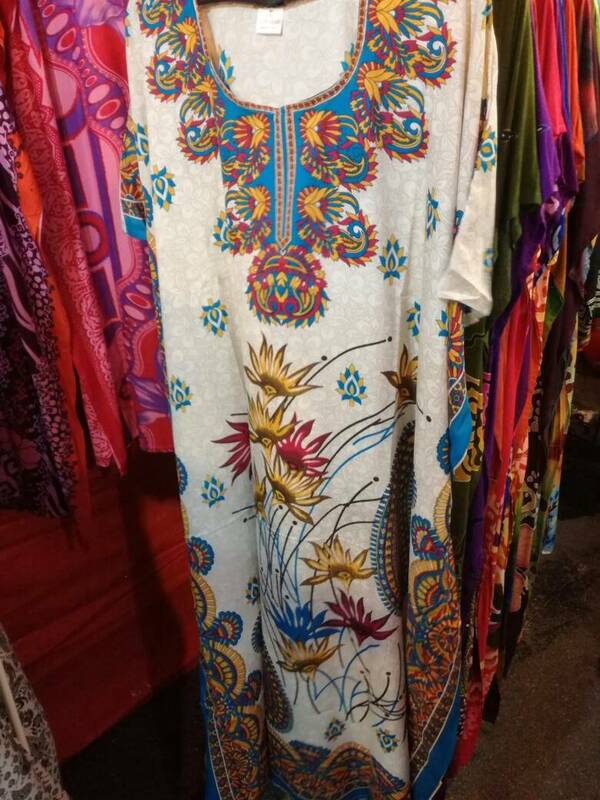 Kaftan, meanwhile, boasts more commercial designs and it could be made from cashmere, wool or cotton. Finishing touches like beads transform these robe-like outfits into a trend that reflects female aesthetics without the need to sacrifice comfort. 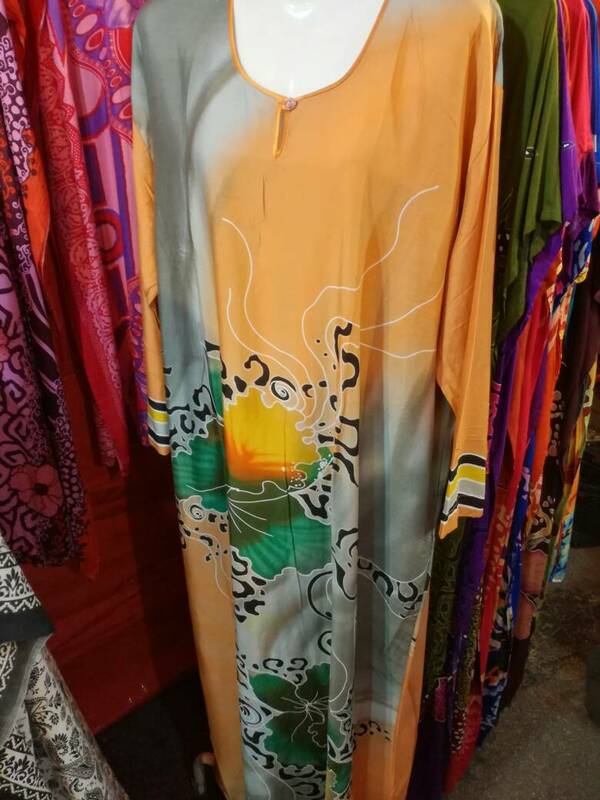 Whether it’s Baju Kelawar of Kaftan, you could use them to go to bed or wear them on special occasions - Raya open houses, annual dinners...you name it! To spice things up, add a classy belt at your waist to take your look one notch higher. Fashion is like testing the water. You’ll only know if it’s warm or cold once you’re in it. Time to expand your wardrobe. Put on something new. Try. Explore. You decide how good you look. Melompat Tok Kadi Bila Nampak Kau Muncul Dik! Jaket Captain Marvel Ilham Pereka Alia Bastamam Ini Nampak Gagah!